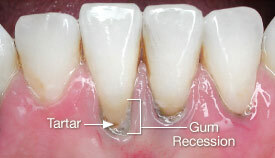 Figure 3: This photograph shows the significant tartar accumulation and gum recession. There is also a lack of attached gum tissue. 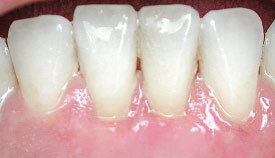 Figure 4: This photograph shows the healing which has occured after tartar was removed and a periodontal plastic surgical procedure repaired the area. 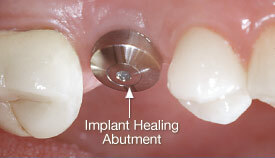 Figure 5: This photograph shows a healing abutment that is attached to an implant during the healing phase. 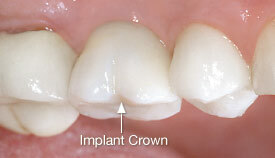 Figure 6: This photograph shows the implant permanent crown that was placed onto the implant after the healing abutment was removed. Surgical techniques to treat periodontal disease have been documented as far back as 1862 when Robicsek in Hungary developed the “gingivectomy” (gingiva-gum, ectomy-removal) to treat gum overgrowth, a technique still in limited use today, in a modified form. He is also credited with early “flap procedures,” which are still the “work horse” basis of many periodontal surgical procedures today. Tiny suture placement to retain the gum tissues in place. Sutures either self-dissolve or are removed after a week or so. In some cases an unobtrusive dressing is applied to protect tissues while healing ensues.